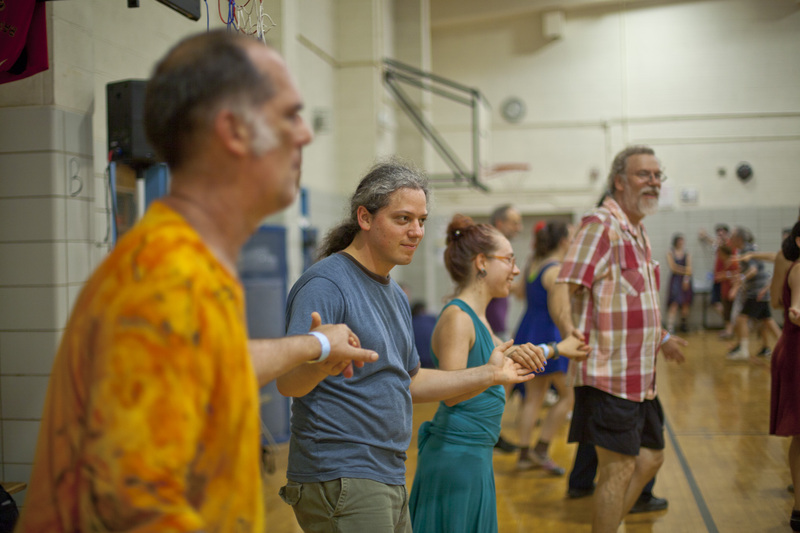 (or you can see lots of other dancing on You Tube – under “contra dance”). The dancing is driven by the music. Always live and always exciting, the music reflects the music of America – on different nights you’ll hear a bit of bluegrass or old time string band, Irish traditional, Appalachian fiddle tunes, klezmer, Cajun and other sounds that are blended by great musicians. 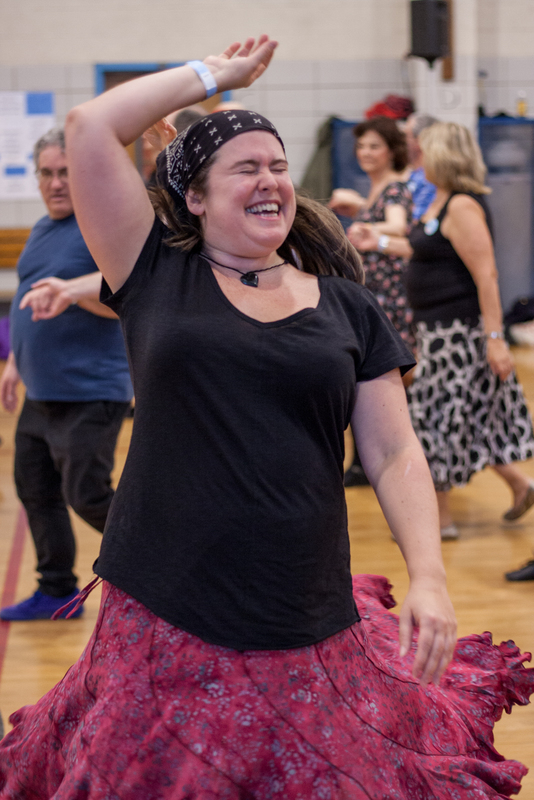 Dances have simple, easy to learn patterns, and the smiles you see everywhere reflect the joy that dancers feel at being part of that amazing music and dance experience. 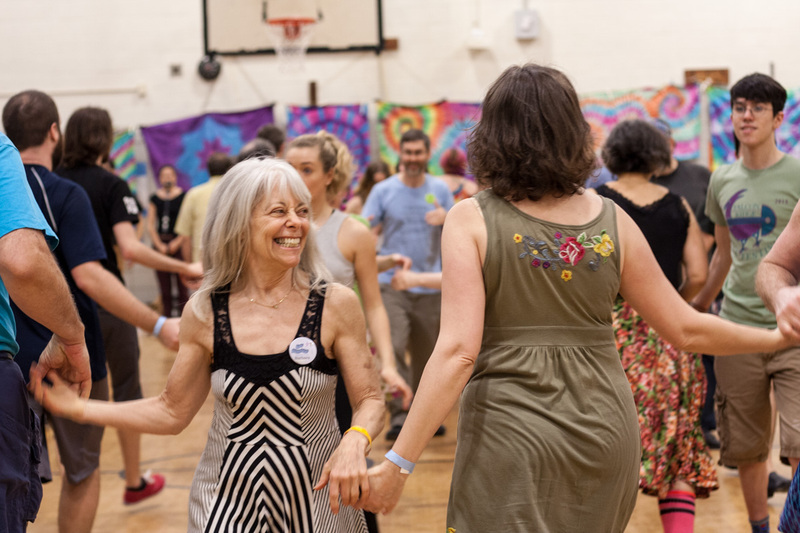 Dances are held almost every Saturday night September to June – see our schedule at http://cdny.org/ to check. We dance at the Church of the Village, 201 West 13th Street (by the corner of 7th Avenue). The essentials are taught in a beginners’ session at the start of each evening (usually 7:30), and then the figures for each dance are taught just before you do it. Wear comfortable clothes, and either wear or (preferably) bring soft-soled shoes, so we don’t wear out the floor. Come alone or with friends. 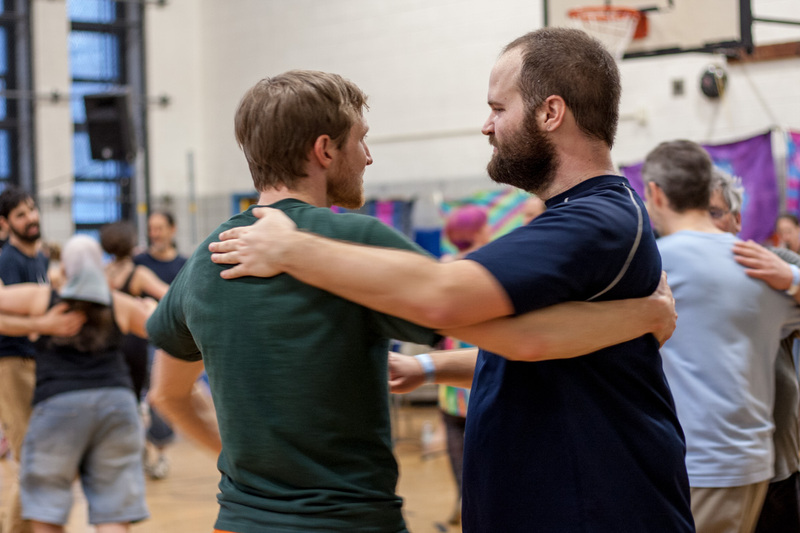 We change partners with each dance, and finding partners is easy in this warm welcoming crowd. 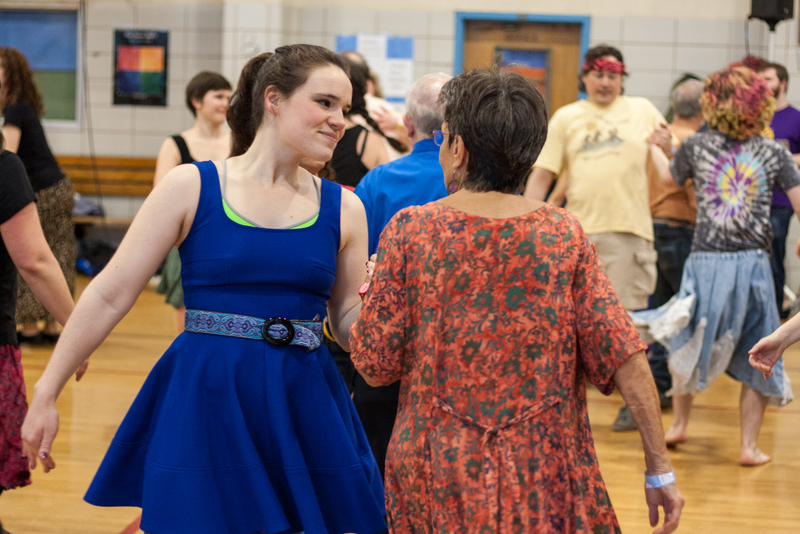 There are gay people, straight people, teenagers and grandparents – people of all ages enjoy our dances. But it’s better to dance than to talk. Come dance with us – you will be welcomed and have a wonderful time!